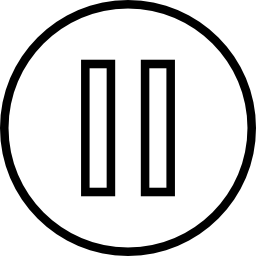 Our MP3 players and televisions have a pause button but what many of us don’t realize is we have a pause button too. At any time, in any given situation, we have the choice on whether or not to hit our very own pause button for our lives. Hitting pause is your way of giving yourselves permission to step off the roller coaster. Focus sheet 1 day prior the meeting. want to reflect on what is next. want to make a step back to see the big picture. feel stuck, rushed or overwhelmed. like working with an accountability partner. want to install a strategic habit. every time you see yourself in a rat race. pro-active on a regular monthly basis. whenever a sounding board is of help. Hitting pause gives you the ability to step back and assess a situation before making a determination on how to proceed. When you hit pause, you are able to make decisions from a place of strength and discern what is critical to your goals. Our nature is becoming one that wants to continually drive forward without thought for our own well being. However, stepping back often allows us to step forward with greater awareness and purpose.